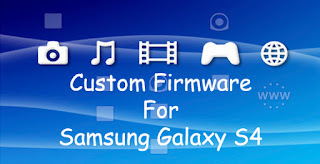 Just click which custom firmware you wanna download. When you click one of the link and there's notification "you will visit another website" click to continue, then directly you get the link to website. Thanks to Kaskus and XDA developer. Belum ada tanggapan untuk "Download All Custom Firmware For Samsung Galaxy S4"